Samba Dashami in Odisha -16-Jan-2019 –A Puja Dedicated to Lord Surya. Samba Dashami is a unique ritual observed in the Paush month in Odisha as per traditional Oriya/Odia calendar. 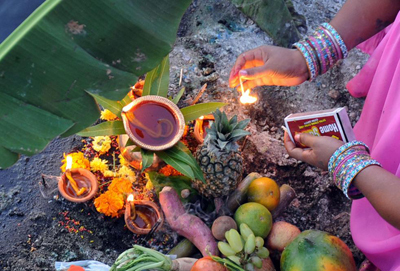 Samba Dashami 2019 date is January 16. On the day mothers observe special puja and rituals dedicated to Lord Surya for the good health and long life of their children. The story of Samba Dasami is associated with Samba, the son of Lord Krishna Legend has it that Samba was once afflicted with leprosy and he was cured after praying to Lord Surya. Samba performed penance for 12 years before he was cured. Samba Dasami is observed on the 10supth/sup day during the Shukla Paksha or waxing phase of moon in Paush month (December – January). Special dishes are prepared on the day. The dishes are first offered to Lord Surya and is later shared the children.